Oiji was originally a collective thought in the minds of Brian Kim and Tae Kyung Ku, the co-chefs and co-owners of this popular restaurant. Their goal was to bring the food of Korea, where they both grew up, in a modernized fashion to new tasters. They both attended the Culinary Institute of America, and were roommates. Oiji was their dream, and now you can enjoy that with your dream partner! 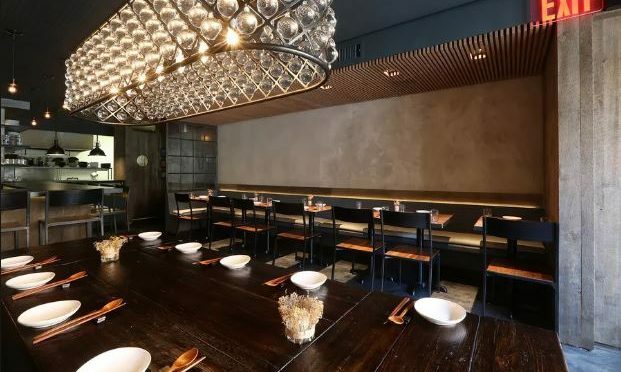 Located in the East Village, this popular restaurant will excite your date night. The website for Oiji describes the seating area as intimate, but stylish and is full of unique features. An open kitchen, reclaimed wood, and large windows set the scene for your delicious trip. The menu at Oiji is meant to be shared, a perfect place for a date night! The menu offers many traditional Korean dishes like handmade dumplings, Jang-jo-rim, and more. The dishes are priced between $8 and $29, but a ssam platter for two is only $38. A flight to Korea will certainly cost you more than $20 a person, so Cupid definitely recommends trying this Korean masterpiece. It is not every day that you can try authentically traditional Korean food, but that is one of the many great things Manhattan has to offer. Your stomach won’t be disappointed, and a good meal will make the two of you happy! Try the honey butter chips for dessert to end the night on a sweet note. Have you tried Oiji or a similar authentic cultural experience? Let us know in the comments below!